Consider opening a health savings account (HSA). Investing in an HSA gives you a current-year tax deduction while providing a savings account to use to pay out-of-pocket medical expenses currently or in the future. An HSA is not a “use-it-or-lose-it” plan. Any funds in the plan at year-end can be used in future years. 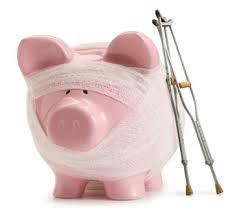 And be aware that you can fully fund your HSA up to April 15 of the following year.